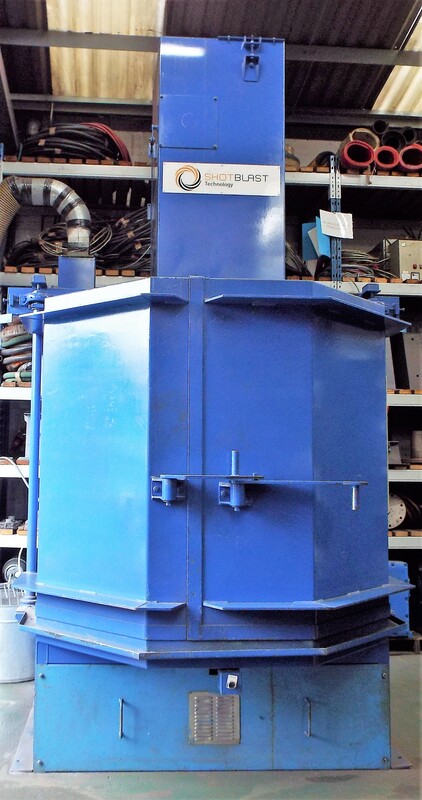 We are selling an excellent example of a used table blasting machine by the highly respected OEM Wheelabrator, part of the Norican group of companies. Current run hours (client advises as genuine) are 1,477 – this equates to 86 Hours a year or 1.89 Hrs per week based on a 46 week working year. 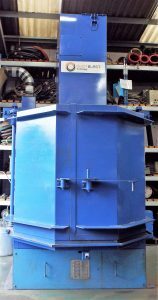 Now available as part of an upgrading and reorganisation plan at our client’s site in Birmingham, West Midlands, used wheelabrators rarely come to the market in this condition with so little apparent use. These dimensions allow the machine to occupy a very small footprint, making it a sound investment to those companies who may be tight on factory floor space and/or may wish to bring what could be a sub-contracted process in-house, in order to have better control of their manufacturing cycle. Please see the videos proving this as you will see how short the cycle time was to shotblast an item. In our opinion this is the best used table shotblasting machine in the market that can be demonstrated working, to any interested party and any inspection of the machine is invited/welcome. The auction will be hosted through Bidspotter – to bid/buy you will need to be registered with Bidspotter. Auction starts to close at 3pm BST Thursday 29th March 2018. Catalogue now open and you can bid. Viewing day – 28 March 2018 – you will need to book in via ADS several days beforehand as entry is strictly by appointment only and on our client’s terms. Clicking on the word Bidspotter will take you to the auction.